Superior yacht accommodations are essential for any size yacht from the small cruisers to the super & mega yachts. 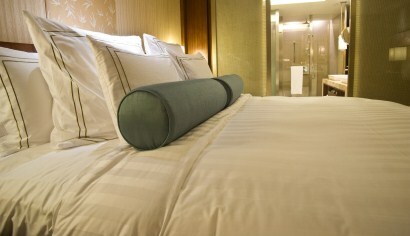 The quality of those accommodations can only be as good as the cleanliness of the yacht`s linens and sheets. That is why Mega Yacht Cleaning offers specialty laundry service for linens. We want you, your family, and your guests to enjoy a comfortable, clean bed every single night. Set your own schedule. We pick up and deliver your laundry for free. We`ll come to your yacht; you never have to come to us. We handle custom bedding for yachts and always preserve the integrity of every piece we work on. Our professionals can handle any job, big or small, no matter what the fabric is. We schedule our services around your needs, not ours. The integrity, color, and shape of your fabrics are our number one priority. You won`t find a more competitive price for this level of specialty laundry service for linens and custom beddings for yachts. We have a long list of references we will be happy to provide you. all Mega Yacht Cleaning at (954) 448-8899 and order a pickup for your linens and sheets cleaning today.